n a verbal tirade, Tinubu described Atiku as confused and directionless and called on Nigerians to reject the opposition party. 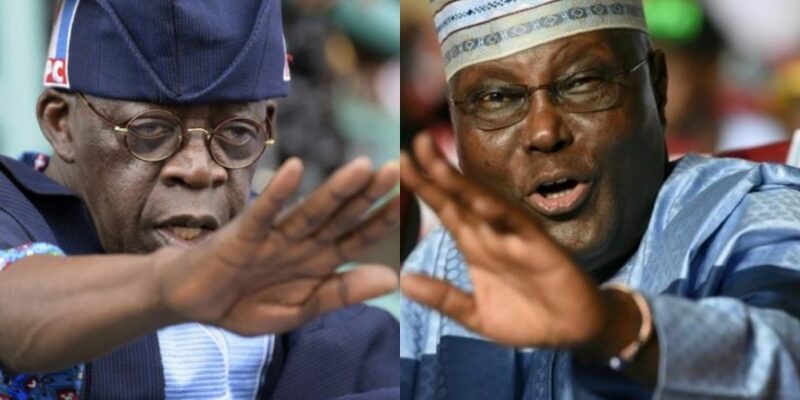 National Leader of the All Progressives Congress (APC), Asiwaju Bola Ahmed Tinubu, yesterday, took the Peoples Democratic Party (PDP) and its presidential candidate, Alhaji Atiku Abubakar, to the cleaners. In a no-holds-barred verbal tirade, Tinubu described Atiku as confused and directionless and called on Nigerians to reject the opposition party. The PDP spokesman, Kola Ologbondiyan, who is also the Director, Media and Publicity, PDP Presidential Campaign Council, stated that what Nigerians expected from the ruling party in the run-up to the polls is an explanation of how they have managed the resources of the country in the past three years and not insult against Atiku. “If indeed Asiwaju Bola Ahmed Tinubu described our candidate in those words, then it shows clearly how panicky the APC has become. It also shows that the hierarchy of APC has nothing to offer Nigerians. “In the PDP, we believe the APC will use this campaign period to showcase to Nigerians their achievements in the last three years. “But instead of showcasing what they have used humongous sums of money doing in the last three years, all they do is to attack the personality of our candidate. All they do is to be fixated with the personality of our candidate. But that is not the questions that Nigerians are asking. “The questions that Nigerians are asking is come to us and demonstrate the manner in which you have helped our cause in the last years. Is it through the education of our children? Is through security? Is it through provisions in the budget that have affected our lives directly? “How have they affected your life and mine positively in the last three and half years? So, we are not surprised that they have resorted to insults on the personality of our candidate, who Nigerians, across board, have generally accepted is the best person for our country today. Like we always told them, when they go low, we go high,” the PDP spokesman stated. But Tinubu insisted that Nigerians must reject PDP, which he alleged consumed the years of plenty and depleted the national storehouse. “They now ask for the keys to that storehouse, so they can return to the scene of their malfeasance. They seek to come back not to repair what they did but to repeat it. We will not allow that to happen because we prefer progress over regression. We are here because we support honest government that will bring peace, justice and prosperity to all,” he submitted. He described President Buhari as a man committed to building the necessary foundation for a prosperous nation and diversified economy that will provide employment and fair opportunity for all. He described Buhari as a man, who has no tolerance for corruption and is vigorously ridding the nation of it. The APC leader described the 16 years of PDP as years of locust, characterised by plunder, destruction and poverty. He lamented that $16 billion was wasted on power without a spark of light. “At the end of this long trail, they improved power generation not at all. Sixteen billion dollars was the price we paid for a sojourn into greater darkness. An ordinarily incompetent government can give you darkness for no extra cost. It takes a monumentally corrupt and inept group to burn a mountain as high as 16 billion dollars, and not produce the slightest spark of light in the process,” he said. Tinubu also lambasted the opposition party for destroying the country’s economy with a debt hang over of $63 billion. “The PDP federal and state governments raked up over 63 billion dollars in debt. The PDP distorted financial markets by outborrowing the private sector, yet, they left salaries unpaid, pensioners were left abandoned, and some made homeless by PDP’s neglect. Infrastructure projects went uncompleted,” he stated. He also blamed the PDP for Boko Haram insurgency, which he said would have been a thing of the past if PDP had not diverted funds meant to procure equipment for soldiers to prosecute the war. “Funds intended to make the nation safe from Boko Haram were diverted for pecuniary gains,” he claimed. He lauded the organisers for putting up the programme, which he said was to remind Nigerians that in four years and with lesser resources, Buhari has created a better foundation for Nigeria’s future than all the PDP governments combined, adding that one Buhari is worth more than the three PDP presidents who preceded him.